Office Greens featured charity for January is Beatbullying who work with children and young people across the UK to stop bullying. Every day, hundreds of thousands of children and young people are going through the pain and humiliation of being bullied. Horrifyingly, some children will choose to kill themselves to escape their pain and torment. 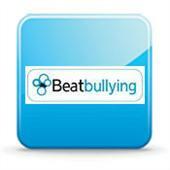 Beatbullying empower young people so deeply affected by bullying that they can barely face going to school every day. They help young people to support each other. They help young people that bully to change their attitudes and behaviour. They shape attitudes, and change behaviours. Beatbullying do this through their ground-breaking programmes CyberMentors and MiniMentors, which have peer mentoring and peer activism at their heart. Beatbullying is mobilising hundreds of thousands of young people from around the world, together with celebrities, politicians, charities, businesses and communities on The Big March 2012, the world's first global virtual march for children's rights. Over 330,000 people from all over the world have signed up to support The Big March 2012, which will take place on January 31st 2012: from Manchester to Mumbai, from Naples to New Orleans, from Jerusalem to Johannesburg, and from Budapest to Brasilia. The Big March 2012 will cross the websites of global brands and charities, taking it all over the globe. It will culminate with the delivery of a petition to the United Nations Building in New York; asking the United Nations to explicitly enshrine 'bullying' in the UN Convention on the Rights of the Child (UNCRC). This will help to protect children all over the world from the pain and distress of bullying and harassment. If successful, it will be the first time that the Convention has been updated in over 10 years.